Product prices and availability are accurate as of 2019-04-18 03:53:29 EDT and are subject to change. Any price and availability information displayed on http://www.amazon.com/ at the time of purchase will apply to the purchase of this product. 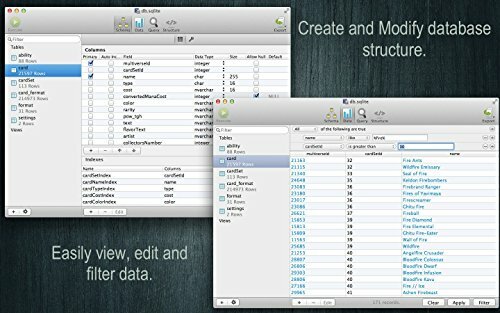 SQLite Professional is an advanced sqlite editor. It has an easy to navigate interface, with the ability to perform the most basic to advanced tasks. + Runtime loadable extension support. 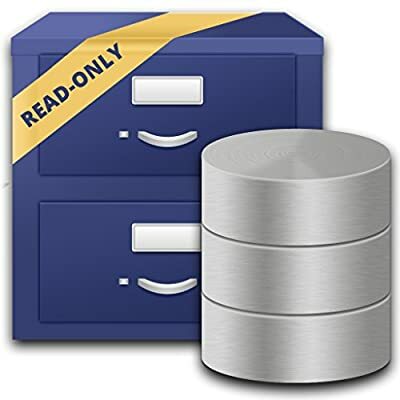 + Backwards compatibility with SQLite 2. + Inline filters allowing you to customize the way your data is displayed. + Query auto-complete. + Runtime loadable extension support. + Advanced multiquery execution. + Version integration. Mucked your database? Rollback to a previous version.